Our team of specialists who can assist in all aspects of generator sales and hire, commissioning, install, servicing and fault diagnostics. As authorised Cummins diesel generator dealers in Scotland, we are able to provide coverage for the whole UK. Can your home or business afford to lose power? Being without an energy source is one of the most overlooked risks that cause the most disruption to any home or business. In particular, production downtime is one of the most costly and disruptive risks to any workforce. For this reason, now is the time to consider a backup power solution from GWF Group. 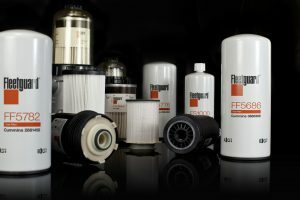 We only supply manufacturer genuine parts. We are also qualified to carry out all servicing, repairs and fault diagnostics. Another key part of maintaining a continuous power supply is servicing. Would you skip on servicing your car? You shouldn’t overlook servicing your generator. We recommend that your generator is serviced every 5000 miles it runs. Alternatively, standby generators should have a major and a minor service annually. Speak to the UK’s generator specialists today. Contact us by calling 0333 358 5000. Alternatively, email us and one of our specialists will call you back.